If you’re like me, almost all of your day is spent sitting in front of the computer watching different Twitch streams. Let’s face it, Twitch is one of the greatest websites we have ever found. Where else can you combine your love for gaming with your love for community? Every single one of us can remember not only the first stream we’ve ever watched, but the first time we knew what it meant to bleed purple. As a viewer you tend to store all that passion inside of you and you’re not exactly sure where to apply it. You’re not interested in doing the streaming, but you’re interested in something related to Twitch. How do you figure out what that is? How do you know where to expand your support? Before I started modding for two different Twitch partners, I was what one would call a lurkaholic. Always loved the community and the streamer, but never had the courage to start chatting and have people recognize who I was. Not doing this sooner was probably one of my biggest mistakes. After all, I was missing one of the main aspects that makes Twitch so amazing, the community! Watching it from the outside sometimes can have it’s perks, but nothing is better than the welcomes and hellos you get from people knowing your name. Taking that step of coming out of the shadows can actually lead to a lot of interesting opportunities. You can learn to help new people in chat, communicate to the streamer about your feelings and thoughts, share moments you love with others, and start taking that first step of being a part of what you’re supporting. This is also one of the biggest starting points of becoming a channel moderator and where I got my start. Once you show that you’re a great member of the community, people take notice. 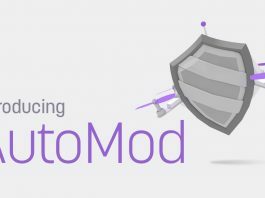 Some streamers are constantly scouting to look for new people to add to their moderation teams, and doing this step allows you to be a big contender. Some things that you can do to set yourself apart are: following the rules of the stream, helping with bot commands, answering questions from new viewers, and volunteering for any opportunities given to the community. That being said, one of the golden rules of becoming a channel moderator is to not ask to be one. It may sound silly but it is a huge deciding factor on who is noticed and who is considered. You’re clearly being noticed for asking but the simple fact that you asked can prevent you from being considered. In some channels you can even be purged or timed out for asking to be a moderator. One thing to keep in mind is there’s a difference between showing interest and being pushy. Another important aspect of becoming a channel moderator is the willingness to share your ideas. If you’re a bit sensitive like me, this step can be especially difficult. You worry what others may think and you’re not sure if you can take the criticism. I can assure you that once you get that positive feedback, it’s worth sifting through all the bad ideas. Since you’ve been around in this community for a long time, you must have some ideas or opinions on what takes place in it. Some channels use feedback forms or polling, but others can be less open to the public. If you have a stream that uses a feedback form system, use it to share your ideas in a helpful and constructive way. 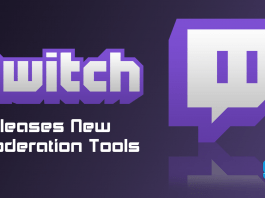 Attaching your name to it is just another way for you to get noticed by the people who are looking to improve on their stream and community. One last thing to keep in mind is “time.” It may take a lot of time and patience to finally get the official title and help in a way that you would like to. If you’re looking into devoting a lot of time into moderation, you should be just as devoted to everything that leads up to it. Depending on the size of the stream, you could be in a sea of people trying to accomplish the same thing. Don’t let this discourage you! There’s a lot of people who stop trying because of their impatience. It took me two years to get noticed in the stream I wanted to moderate for because I was very inconsistent with my activity. If you can take the time to apply everything I’ve stated here and stick with it, you could be moderating for your favorite streamer in no time. Once you’ve been moderating for quite a while and gotten the desired experience, sometimes you wonder if there’s an even bigger role of support you can play. At this point you know what it takes to fulfill being a moderator and have the ability to show others how it’s done. We’re what keeps a stream running smoothly and help enforce the rules the streamer has set in place for the community. But what if you could take that to the next level? What if you could manage the team of moderators for your streamer and make the hard decisions on what is best for the community’s direction? This role does, in fact, exist. It’s what most people call a Community Manager. Taking the step from one of the many to one of the few is not easy. Depending on the size of the stream, a Community Manager is either a dire need or something that already exists. You’ll find that most streams in the 50-400 viewer range are ones that usually need a Community Manager. Sometimes what it takes is for one person out of the team of moderators to stay on top of things and explore new, exciting ideas to help grow the stream. If you find yourself always in the mindset of “What can we do better? What can we implement that will help grow the stream?”, you’re already on the right path. This thought process was like second nature to me. After being a moderator for so long, you want nothing more than growth for the channel and to see the stream become even more successful. One of the biggest things that gives streamers their sigh of relief is when people on their team take initiative. If you are a person with a “get it done” attitude that can handle tasks and improvements without being specifically asked, you’re already part of the way there. Taking that step of “this needs to get done, I’m going to be the one to get it done” is HUGE in the eyes of a broadcaster. They have so many things on their plate, you have to learn to scrape off what’s untouched and turn it into something they would want. Working closely with a broadcaster allows you to read and hear what they desire for their channel. Don’t be afraid to take notes on minor mentions and work towards making it a reality. The more you can do independently, the more you will be noticed as a leader of the community. As important as it is to listen to the ideas of the streamer, it’s also important to explore some of your own. We talked earlier about how suggesting ideas can set you apart as a moderator. Well, turning those ideas into reality is what sets you apart as a Community Manager. There are plenty of things that someone could want without knowing that they want it. Most of my best ideas have resulted in an “I didn’t know we needed that but we do” kind of response. This could be anything from reforming your moderating system, implementing new task teams, planning special events, adding more ways to interact with the community, putting yourself at the forefront of meetings, among other things. All of these directly impact the growth and success of the stream. When the inner workings are chaotic and unorganized, either nothing gets done or it doesn’t get done properly. As a Community Manager, you’re not only completing tasks but you’re completing them properly. Another super important aspect of becoming a Community Manager is being active on social media. 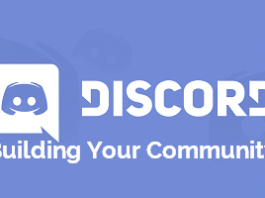 You may think that networking through sites like Twitter, Reddit, Discord, etc is only something that streamers do, but it’s just as important for you. Following the right people within the Twitch community will help you keep your broadcasters on top of need to know information. With their busy schedules there’s tons of vital information that can slip through the cracks, especially when they’re streaming. It’s important to know which streaming tools they use, what developers they have contacts with, what upcoming games they’re interested in, and more. All of these not only help you get recognized as a Community Manager, but they also ensure you’ll never be left in the dark. I never realized the helpfulness of websites like Twitter, but once you get started you forget what it was like without it. Some Community Managers even describe their social media as their lifeline. Once you can show your leadership and knowledge, it’s easy for a broadcaster to start to trust you as a figurehead for their community. All that’s left is the title. For those who want to make their Community Management into a career, I suggest not starting with that idea in mind. I agree with the passion and support happening organically and letting the experience float you between new opportunities. If you are doing this with the idea of getting paid, I strongly suggest looking elsewhere. Not only is it really hard to get to the point of moderation and community management, it’s even harder to find people willing to pay you for it. I’ve personally fallen into the thought of “how to get paid quick” with my experience on Twitch and it didn’t take long before I realized that’s exactly the wrong way to handle it. With that being said, I do recognize there are ways to take yourself beyond a single stream that can help you turn this path into a career. 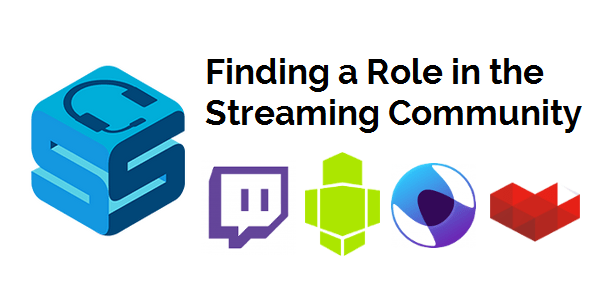 When you reach the level of managing communities, you can then take your experience to full stream teams, game developers, and organizations that focus on managing the business side of streaming. Some of the top streamers on Twitch work with people like Online Performers Group. They offer professional services for streamers like promotional opportunities, career development, marketing, legal advice, and more. Most of the people within these companies start out from a certain aspect of community management. The fact that these people were so successful and the idea had stemmed from the very same foundation as mine, honestly intrigued me. Having the knowledge I do now, I realize there are so many paths you can take within the Twitch community. I hope this guide is helpful in realizing what opportunities are out there for people who don’t necessarily see themselves as entertainers but love the entertainment community. There are many different sides to Twitch and I wanted to help break the stereotype that it’s only a website for streamers. That couldn’t be further from the truth.